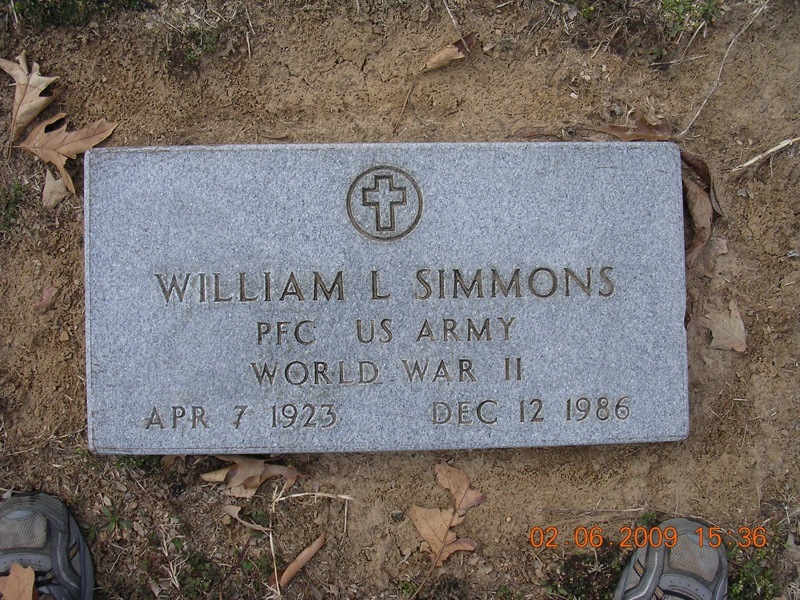 William was born on 18 AUG 1890 in Tupelo, Jackson County, Arkansas, the son of Benjamin Fletcher Simmons and Lucy James Rotenberry. 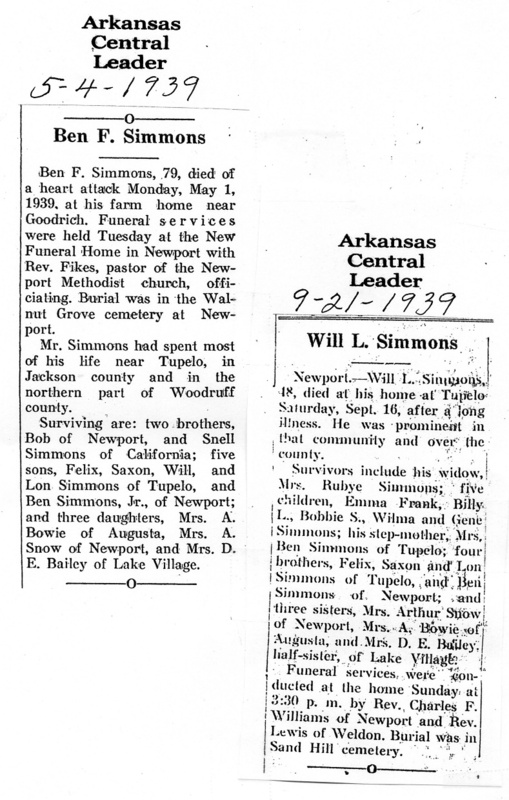 He died on 16 SEP 1939 in Tupelo, Jackson County, Arkansas. 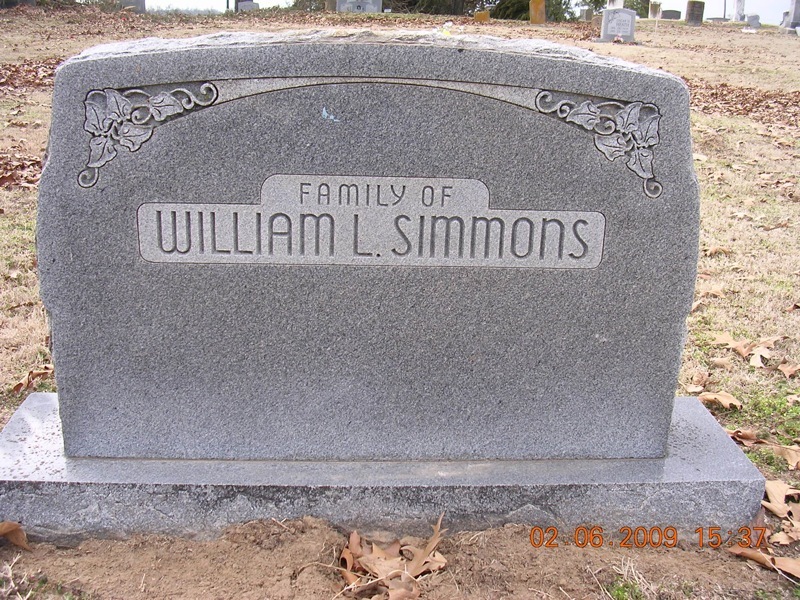 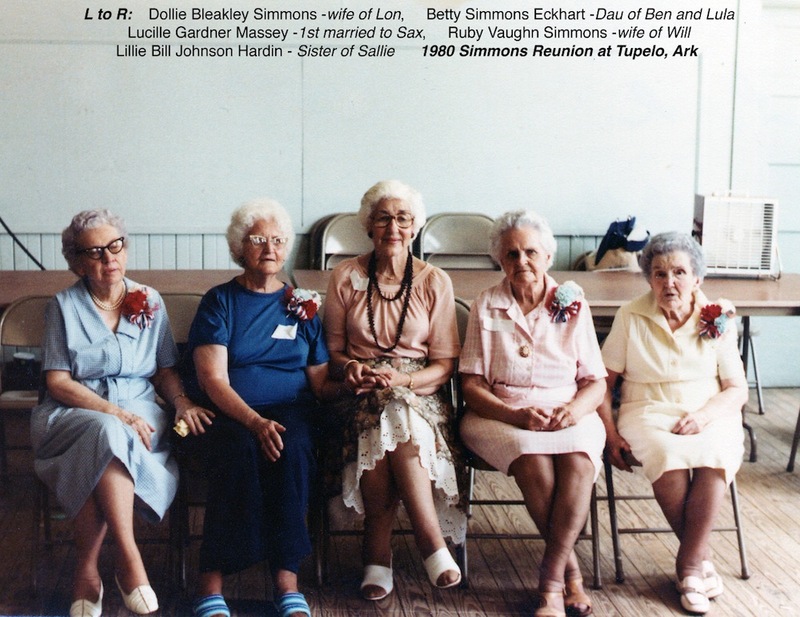 His wife was Ruby Ona Vaughn, who he married on 18 Dec 1918 in Weldon, Jackson County, Arkansas. 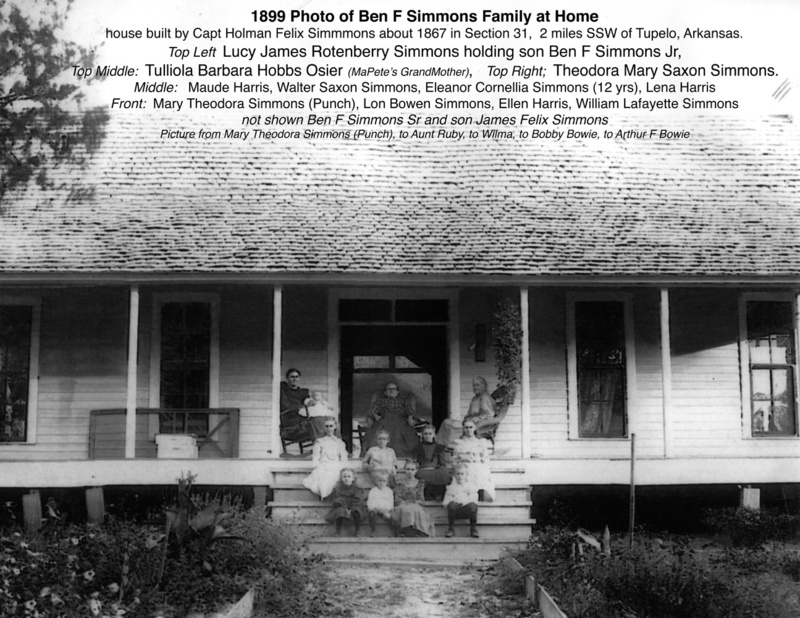 Their five known children were Emma Francis (1920-1976), William Lafayette Jr (1923-1986), Robert Saxon (1925-1958), Ruby Wilma (1929-2001) and Gene Edwin (1931-2011).